Contrary to popular opinion BBC Radio 3 is not the sole preserve of lady beekeepers in Hertfordshire or well-heeled gents who order their cufflinks from Toye, Kenning and Spencer. 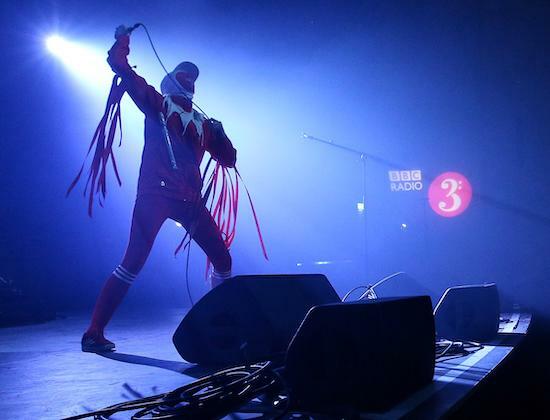 BBC Radio 3 has a proud tradition of having wyrd, annoying and downright strange programmes dealing with music that doesn't fit into the commercial sphere. Radio 3, after all, is the station that once brought you Mixing It, a beacon of great, inspiring music programming and public service broadcasting. This is why over the weekend there's been a furious reaction to the news that the station is decimating the amount of time it devotes to music outside of the classical canon. Late Junction will be reduced from three broadcasts a week to just one, both Jazz Now and Geoffrey Smith's Jazz are being 'rested', and Music Planet, devoted to music from across the globe, is having its airtime cut by half. Serving the public, the great unwashed or the overlooked, is a remit that these programmes carried out perfectly. Over the past couple of days, it's felt as if nearly everyone I saw ranting about this preposterous decision came from or lived in the provinces. The disgruntled were people dealing with the daily schlep in places like Felling, Hull, Newport, Clayton-le-Moors or Rotherham. I'll break it to you gently, but some of my fellow Radio 3 listeners, God forbid, work with their hands. Equally remarkably perhaps, “continental friends" who live in Moscow, Tallinn, Rotterdam, Vilnius, Leeuwarden, Nizhny Novgorod, Porto, Berlin and a small village on the Lower Rhine delta called Haldern are upset by this decision. I wonder if those in charge of cutting back the programmes really know this. Of course I can't speak for Late Junction's entire, woad-painted, pastry-eating, vowel-dropping, bong-smoking, window-licking, onesie-wearing, Victoria Wood-loving audience nor all those queer foreign types who love the show. But, I will wager, we are a modest tribe. A quaint bunch akin to crofters of yore, to be preserved somehow in a reservation somewhere north east of Peterborough and pointed at from time to time by management trainees on a day trip, kept going on a meagre diet (the hard tack of one show a week) as a sign that wider society is in a rude state of health, and that Britain is an outward-looking, culturally vibrant nation. But - despite my flippancy above - here lies the irony. Away from the daily shitshow of the Westminster bubble, Britain quietly, daily, really does get on with being an outward-looking, inquisitive, culturally vibrant nation. The likes of Tmmy Rbins*n and his cut-out mates are not representative of ordinary on-the-ground Brits, despite what riot-inducing MPs will have you believe. Wanting access to knowledge - in this particular case inspiring, instructive broadcasting - isn't something that's in any way the preserve of the “metropolitan elite". It's a traditional manifestation of ordinary folk on these islands. The fabled “house full of books" and good radio is something my Tyneside Granda (plasterer) aspired to, with his leather-bound volumes of Dickens, the Encyclopedia Britannica and the Third Programme. Contrary to accepted wisdom, and facing the white heat of technological change, things like libraries, night classes, and (say) the Hallé Orchestra are still incredibly popular. Self-improvement, and finding and sharing that self-improvement in a public space will always be a part of our cultural DNA. Maybe I can also point to another modest tribe who escape the marketing, media and management types' snooty gaze; the people whose music gets played on these shows. These hard-working artists strive off their wits like Robert Graves' gleemen, grabbing crusts thrown from the inner circle of culture's campfire. Supremely talented grafters like Yeah You (Newcastle-upon Tyne via Wales and elsewhere) or Lancashire's Robin the Fog, or Sunderland's Chlorine (all championed by Late Junction) regularly put in long, unseen hours, often in front of 30 people in a provincial gallery, for a few quid, petrol money and maybe a can and a sandwich. These people, working on the margins of the creative interface, in often tough, out-of-the-way places, are popular music's red blood cells. They are the unseen carriers of culture. What they do infiltrates, often unnoticed or incrementally, mainstream forms of music. And Late Junction is a mainline artery for them. The BBC always had time for the nooks and crannies. The strange, the unexpected, the annoying. The oddments other outlets wouldn't touch. It always catered to people on “the outside" in whatever sense of the word, by both serving as a surrogate central point and placing broadcasting power back in their hands. That for me is the corporation's true genius. At its best the BBC could effortlessly accommodate highbrow rigour with wyrd local lore. Look no further than Steve Barker's legendary programme, On the Wire, on Radio Lancashire. Which is why, again, this particular decision is so infuriating. Bread and circuses broadcasting can be found everywhere one looks nowadays, but increasingly this one-size-fits-all approach pushes us down an increasingly suffocating echo chamber. And so the newspeak was rolled out to keep us “on message". We see this in Alan Davey's statement, a careful blend of reassurance and drawing lines in sand. The cuts are part of reductions enforced on the corporation by the Conservative government as part of the recent licence change settlement. We're informed that despite this funding crisis, “(t)hese plans are designed to ensure we remain distinctive." All we know for certain is Late Junction can be listened to once, not three or four times a week, and the jazz programmes not at all. How does that help in keeping Radio 3 distinctive when there are no other national show like these about? Worse, as a lover of Radio 3 I am painfully aware I don't really have a say in all of this. We all need to know we can quickly find different, odd-shaped spaces that refresh and inform, and at a public, non-commercial level. More than ever though, we all need to know we are part of a central conversation. That sensible, intelligent people "out there" in power are listening, understanding, not blithely predetermining our own experiences for us. Back, then, to these intriguing little late-night programmes that shine a light on the progressive and exciting. Make no mistake, this snipping back of Radio 3's more left field output is the latest signifier of an exercise in othering; stemming from the centre to the provincial wastelands. I'm not aware that any of the government front bench listen to Late Junction. Why should they? Doubtless they think that's for "Leftie Remoaners" wearing shoes made out of recycled cabbages, “oop North", in Hebden Bridge. It would take an Olympian feat of imagination to picture culture secretary Jeremy Wright or his predecessors Matt Hancock, Karen Bradley, John Whittingdale, Sajid David, Maria Miller or Jeremy Hunt digging the works of Gazelle Twin or Mica Levi. Those without the capital to spend or say have always been easy targets in these islands. The current, seemingly relentless round of (top-down or media-driven) straw-man arguments and resources-driven clipping of the things that once silently bound us together is dangerous and pernicious. Maybe that is the inevitable way of things. But when indisputably benevolent, brilliant things like Late Junction, Jazz Now and Music Planet get clipped it's worth adding a quiet scream of your own. Please, leave your comment on Mr Davey's plans here. Maybe as a little reminder that people often don't want what others want for them.